We review hundreds of speakers here at Music Critic, in today’s reviews we are going to look exclusively at those equipped for your record player, so sit back and prepare for the 10 best speakers for vinyl in 2019. 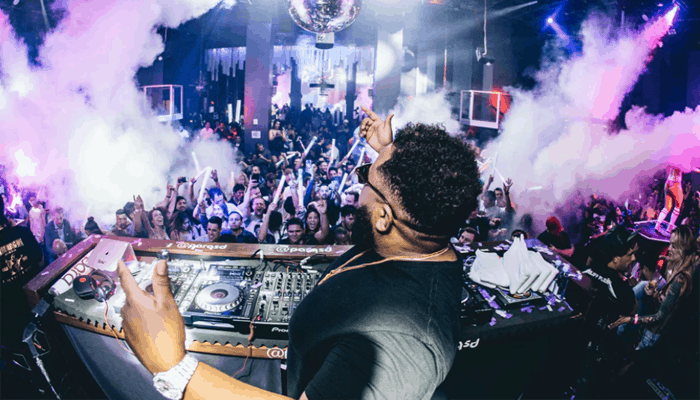 Vinyl was once an endangered technology, regarded highly by a few with old souls and retro tastes, but in modern times it has made a real comeback. Often the reason Vinyl wins our hearts is because it has a more authentic analogue audio vibe than a compressed digital representation. An MP3 for example doesn't do any justice to the track as the record producers heard it in the studio on the final cut. What to look for in Speakers for Vinyl? What kinds of speakers are best for playing Vinyl? What tone can I expect with speakers for Vinyl? Opting for a vintage technology gives a more honest feel, to the nuances of the music it is therefore important to have a great set of speakers otherwise the quality vinyl offers over digital music becomes obsolete in the first place. In order to help narrow down your search we have gathered a few great sets to consider, and have attempted to resolve some of your recent inquiries in our speakers for vinyl buyers guide. TracTrix horn paired to tweeter. We are kick-starting our reviews with a higher-end 2-way class pair which will likely impress the audiophiles lurking out there. 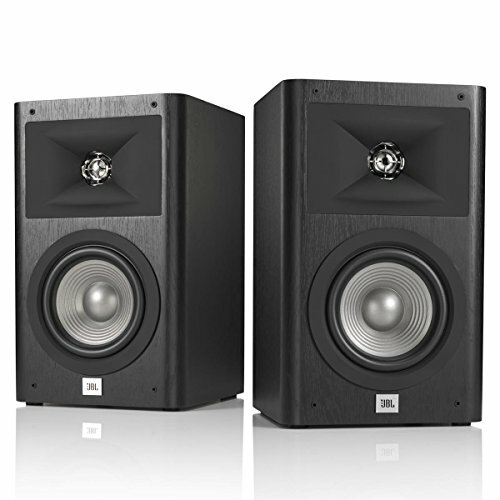 The seductive 230 pairs from the JBL 10-piece Studio line offer up a sublime sound, they are a mid-range priced set of bookshelf loudspeakers, forged with premium parts to provide pristine audio at veritably loud volumes, in spite of their stature. The detail is unbelievably crisp, and the bass has a great presence. The 6.5” PolyPlas, front-firing midrange driver serves up pitch-perfect vocal clarity, it is paired with the popular 1” CMMD Lite tweeter from their legendary Master Reference Monitor. Together they perform extremely well and combined with the built-in High Definition Imaging waveguide design technology and you get accurate cinematic sound. + Premium 2-way class pair. + Rear firing bass port. 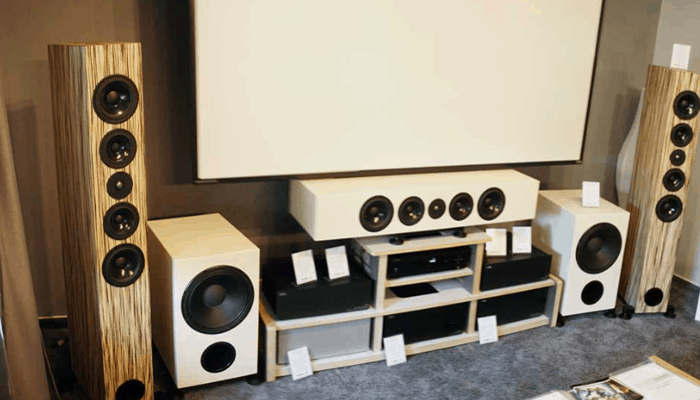 Why We Liked It - They are undeniably authentic to the audio played, and are room filling studio quality bookshelf loudspeakers but inevitably they are going to cost you a few hundred bucks for the privilege. 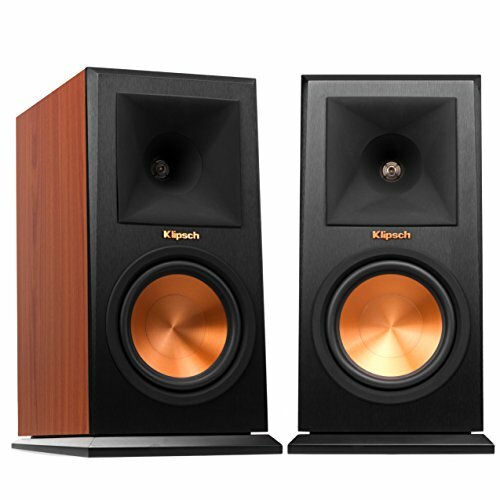 A great comparative pair would be this lovely set from Klipsch, which sit in the same price region and feature the same state of the art technology, enclosure calibration, and premium sound to compete head to head with the JBL Studio 230’s. Their new and improved design means to benefit from a revolutionary overhaul which sees their top engineering experts redesigning one of their most popular lines, to blow the competition completely out of the water. They now feature a hybrid version of Klipschs 90 x 90 TracTrix Horn. It is paired with one of their hallmark Linear Travel Suspension tweeters with a titanium dome. The TracTrix horns geometry guides the displaced air via a circular hole which quickly changes form to become a square/rectangular shape. This funnels the air out much more effectively allowing the tweeters to outperform many other high-frequency compression drivers. The tweeter is coupled with a ceramic/metallic blended woofer which also incorporates spun copper into its lightweight, rigid cone construction. The bass drivers are highly efficient because the enclosure port uses the same geometrical principal from the TracTrix horn technology. They feature strong but flexible grilles which attach magnetically and are removable. 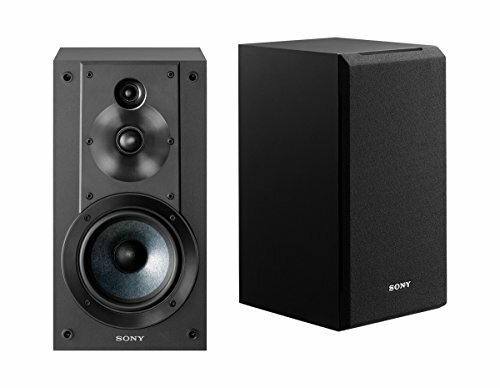 + Premium 2-way class speaker. + TracTrix horn paired to tweeter. Why We Liked It - It is a revolutionary masterpiece it provides some of the most perfect audio representation from a woofer/tweeter combo. 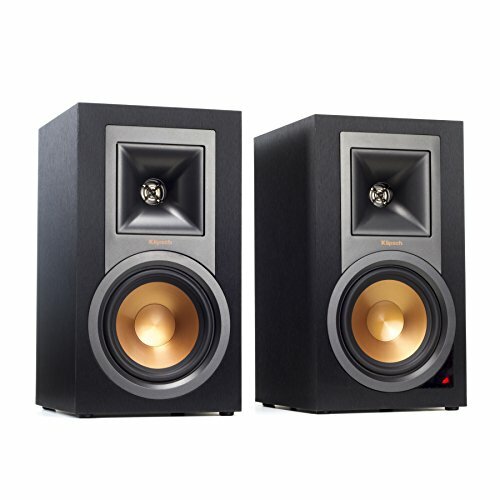 Next up an impressive pair of Edifier bookshelf speakers, which if you have been following our speaker reviews you may already be familiar with as we have featured them before in our 10 Best Bookshelf Speakers article. 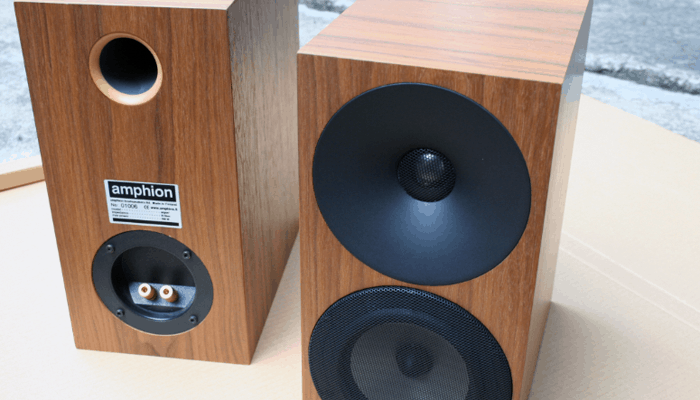 They even made an appearance in our top 10 best bookshelf speakers under $1000 article as well as we genuinely feel they hold their own against competition 3 or 4 times their price. They are a powered pair which boasts digital optical, and coaxial input /output connections as well as Bluetooth connectivity which is the icing on the cake. 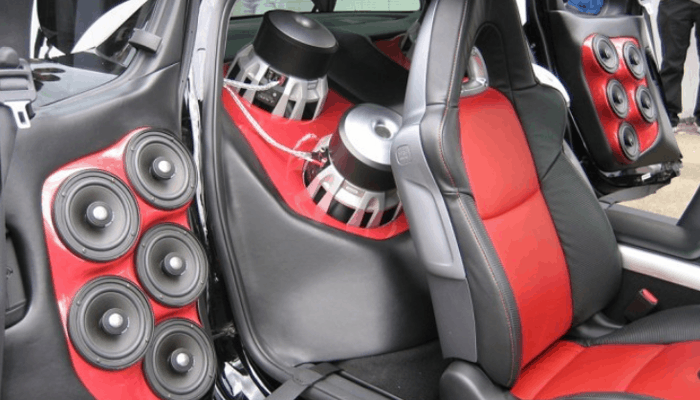 They are 2-way classified the bass is driven by a 5” metal alloy cone woofer which is highly responsive and suitably surrounded to protect against distortion. They feature Edifiers newly developed Eagle Eye tweeters, which are 25mm and silk domed, with a cutting edge digital processing circuitry. The DSP helps to enhance the crossover for audio that is natural sounding, well defined with great bass. All of the circuitry has been given a modern overhaul the onboard DSP, is top quality and hand in hand with their built-in Dynamic Range Control effectively eliminates distortion altogether. It has versatile dual connections, optical and RCA input you can connect 2 devices simultaneously, and it has Bluetooth pairing capabilities. The controls are user-friendly with a cutting edge digital processing circuitry. The DSP helps to enhance the crossover for audio that is natural sounding, well defined with great bass. The cabinet features a ported design and benefits and has been accurately accurate calibrated to edifiers premium line specifications. The controls are conveniently located on an easy-access side panel on the active speaker and enable tonal adjustment (2-band EQ). You can also adjust levels via a complimentary remote control. Why We Liked It - They are well-crafted and feature an efficient design concept topped with premium components as well as technology. Their advanced DSP enhancements give them an edge over the competitors. The audio is fantastically balanced for a 2-way class set, very natural sounding highs and rich clear mids. 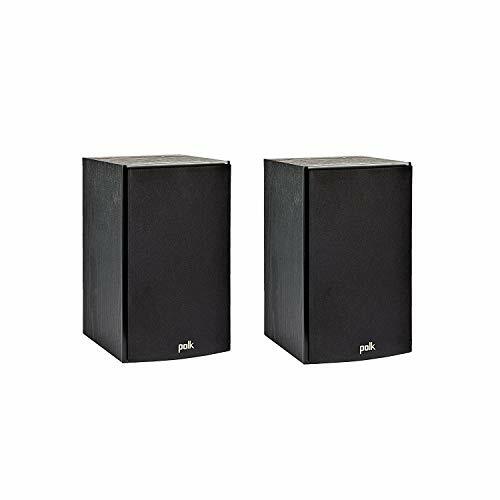 For something with an even lower price-tag, that still provides great value for money, then you might want to feast your eyes on this powerful pair from JBL Arena series, which amazingly sits just above the 100-dollar threshold. It too prospers from the same high definition imaging wave-guide technology acquisition borrowed from the legendary Master Reference Monitor, which the studio range model we opened our reviews with, are endowed with. 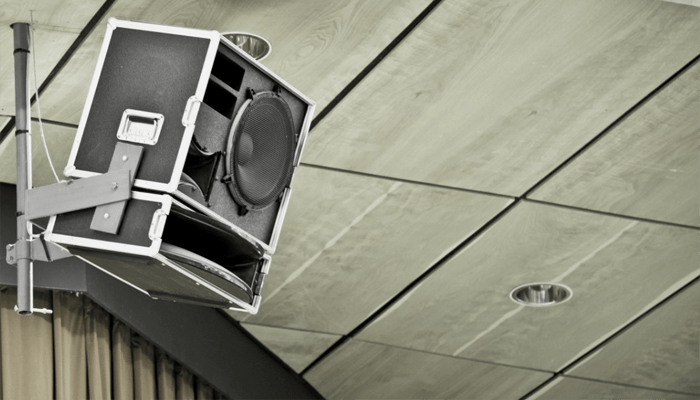 The 2-way class set-up employs a 5.5” poly-cellulose woofer, which is flexible but durable with an optimized surface area, married to a 1” soft dome tweeter. 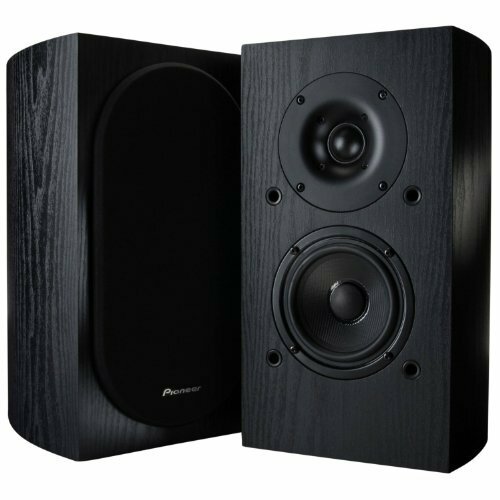 They work exceptionally well thanks to their relative crossover circuitry and despite being intended for use in a much larger system they make superb stand-alone speakers as the frequency response is pretty generous. Why We Liked It - They serve up some very powerful sound and the technology loaned from their higher end models make for a real asset, giving them an advantage other over similarly priced models. An alternative model from Edifiers best-selling series, is the S1000DB which as you can probably guess is a step-up from the others we have reviewed. It is a premium level entry from the engineers at edifier, which are actually primarily marketed as a gaming set of speakers. Now if you have read our 10 best gaming speakers in 2019 article, you will have gathered that the criteria for a decent set of gaming speakers sets the audio quality sound bar pretty high to enhance the full immersion game-play experience. The top-quality high-definition sound provided, along with their flexible I/O choices are the main reasons why they have made the grade. The sound is actually audiophile-level quality and the back panel of the active speaker features RCA, Aux, and optical or coaxial connections. It also has Bluetooth capabilities. It has an impressive low-end because of its extended frequency response. The 2-way class setup on this pair sees a 25mm treble driver coupled to a 5.5” subwoofer to cope with bass. The cutting edge DSP refinements on-board help to enhance the sound further as does its ported enclosure design concept. 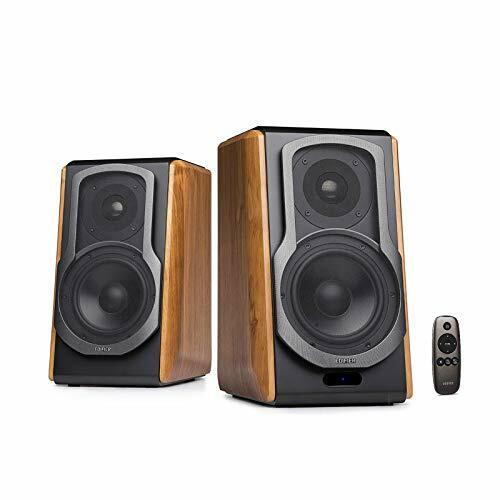 They are wooden for better acoustic dampening and are very competitively priced around 50 bucks below our premium models from JBL and Klipsch. + Advanced Digital Signal Processing. + Extended bass frequency response. + 120 watts peak RMS. Why We Liked It - The sound is pretty unbelievable, they stand alone beautifully the sound is very well-balanced thanks to the crossover circuitry and the subwoofer performs well, providing very impressive bass which is has good presence in the mix. This next versatile pair are again no strangers to us here at music critic having secured a spot in our 10 best bookshelf speakers article, as well as our round up of the 10 best bookshelf speakers under $500. They are a newly upgraded 3-way class model featuring a woofer, tweeter, and super tweeter combination. The woofer driver is mated to a rigid Mica Reinforced Cellular cone the cellular nature of the composite diaphragm helps to boost bass frequencies. It measures 5.2” and provides better bass than many it class. The tweeters are precisely tuned acoustically to optimize definition. One is 25mm in size and the newly incorporated, wide dispersion super-tweeter is tiny at just 19mm. Their highly efficient designs also incorporate sound-absorbing felt to dampen rear sound pressure. The enclosure features a ported design and is made from wood for better resonance. They have a peak power of 100 watts. + Sony 3-ways professional level sound. Why We Liked It - The improvements rocket it into a top contender position, it has a sturdy build and the MRC cones provide impressive sound. Now for another low budget option a home theater bookshelf speaker pair from Polk Audio. 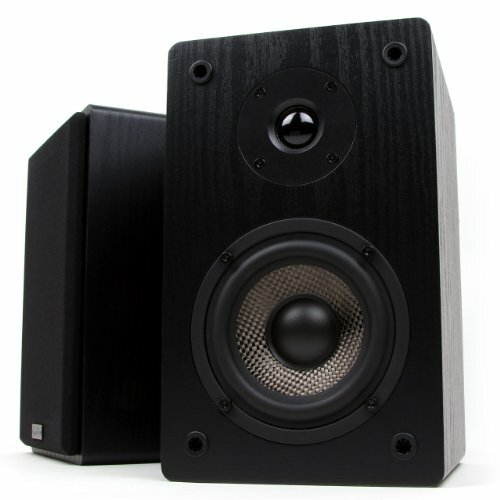 The T15s are an awesome upgraded re-imagining of their Monitor series loudspeakers. They employ a 5.25” composite coned bass driver and a 0.75” silk dome tweeter to capably produce 2-way classified, well-defined, dynamically balanced, full-range sound. They are housed in solidly-built enclosures which feature front-firing bass ports. They have been carefully calibrated with Polks proprietary Dynamic Balance Technology to ensure absolute low-end clarity with zero distortion. They are low impedance and have a wide frequency response for their class. They are marketed as ideal front or rear surrounds for a home system but their versatile connections give them many more applications. They set-up easily and can connect directly for playing your vinyl. + 200 watts peak power combined. + On-board Dynamic Balance Tech. + Vented wooden acoustic enclosure. Why We Liked It - They are exceptionally low priced,feature some advanced signal processing within their circuitry confines and have a range of I/O options making them another great affordable choice. The R-15PM are one of Klipschs low priced entry level models, they are another set we hold close to our hearts and make for a great pair that provide full-range sound, rich with detail. They are 2-way classified and feature Klipschs innovative proprietary TracTrix horn which expels air through a circular hole, which then becomes square along the way. The horn is connected to a high-performance 1” aluminum diaphragm compression driver. The change in shape enables quicker expulsion, making the high-frequency response ultimately more efficient than a typical tweeter. The primary driver is for the mid/bass it drives a 5.25-inch copper spun IMG subwoofer which is shielded. They have been custom engineered and are extremely well crafted with incorporated ultra-low noise amplifiers. 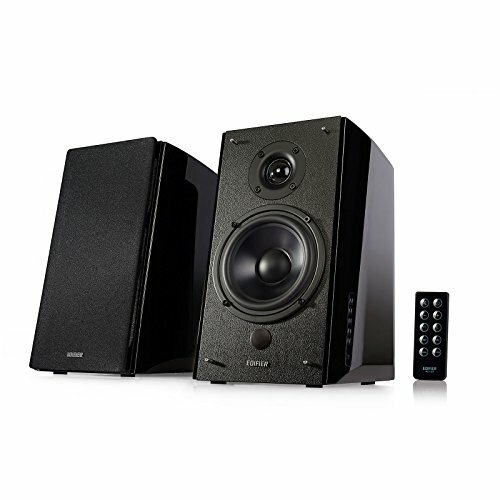 They are a powered set of speakers so you won't have to invest in a receiver, and they feature versatile connectivity options including; wireless, Bluetooth, digital optical inputs, as well as analog RCA, and USB. Why We Liked It - These guys are one high performing set of speakers, among some of the best in their class. They are priced very competitively offering great value for money given the level of some of the tech on-board. Another familiar face is this beautiful bookshelf set designed by famous engineer Andrew Jones, which we fell head over heels for in our best bookshelf speakers under $500 article. They are another top 2-way classified set, with a traditional woofer paired to tweeter set-up. Each provides performance beyond most in their class and dimensions, thanks to the refinements and improvements under the expertise of Andrew Jones. 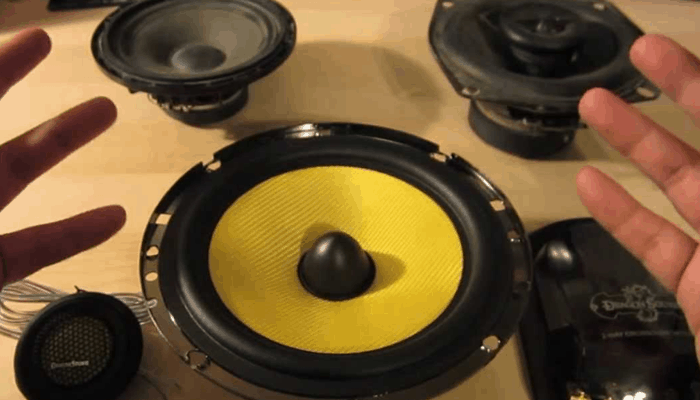 The 4” woofer has a newly structured surface, over-sized magnets, and a vented pole piece to improve bass capabilities. The soft dome tweeter is 1” each is efficiently driven by high performing drivers that have been crafted using hand selected composites. Each blend was chosen for their functional properties. One of its major upgrades was to its circuitry, it features a newly developed 6 element Complex Crossover, which blends seamlessly between the two, for audio that has never been so balanced and dynamically defined. They have a peak power handling of 80 watts. + High performance tweeter 19mm top of its class (2-way). Why We Liked It - The design has been carefully calculated, the shape and stylish good looks are not only aesthetically pleasing but serve a higher purpose. All distortion risks have been effectively countered and they provide top notch sound. The last superb selection which made our top ten list is this budget friendly passive pair from Micca. They are a compact 2-way class option built proudly in the USA. The tweeter/woofer combo provides neutral well balanced audio with great high frequency clarity. The dedicated bass drivers control a 4-inch woofer composed of woven carbon fibers. It is seated in a rubber surround for dampening bad resonances. It is enhanced by its tuned and ported enclosure, providing a lush low end. The woofer is complimented by a tiny 0.75” silk dome design tweeter with wide dispersion and accurate imaging. For use with Vinyl, they will require an amplifier or receiver to connect directly to a turntable. +2-way class with a dedicated woofer. + Ported enclosure for distortion prevention. Why We Liked It - They provide an accessible option for those with a smaller budget they have a wide frequency response because of their woofer/ tweeter set-up- the bass is great. In this articles buyers guide we have taken your FAQ and put them into 3 key question sections that aim to shed some light on just what need to know before you buy. The primary requirement is the correct input connections, which is pretty self-explanatory. If you value your vinyl for its authentic analog sound then you will likely want a high-quality sounding set of speakers. For a full-range playback, you will be looking at a decent 2-way classified pair with fair frequency response. The better quality the components onboard are effectively the better your sound will be. The sound quality of the speakers is dramatically affected by the enclosure design, to separate the sound pushed forwards from the sound in the rear which reverberates and cancels other waves out causing distortion you should be only looking at ported or vented designs. You will probably find that a bookshelf or studio pair will be best for your needs. 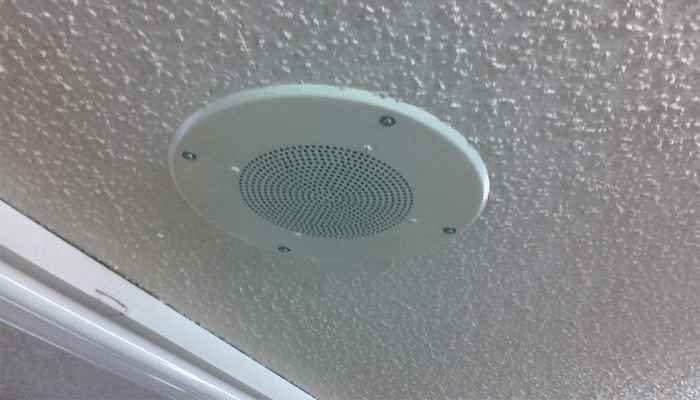 All of those we have looked at today are prime examples of affordable speaker choice fit for the task. 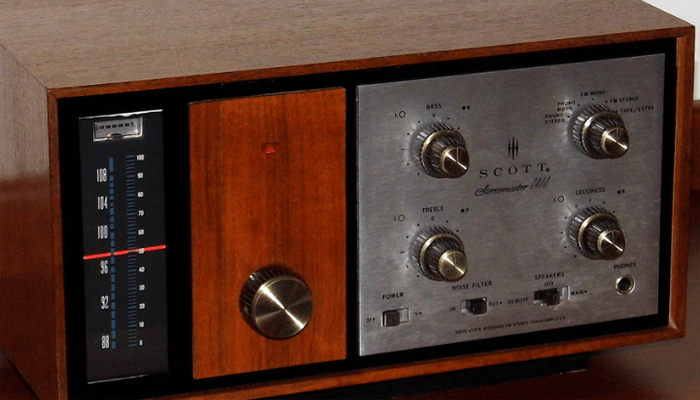 Some passive options obviously require an amplifier or receiver to power them and to connect to a turntable or record player. This is an unavoidable extra purchase if you don't have one already, so if you are shopping on a shoestring budget we advise you go with a powered pair with the correct RCA inputs that you can afford. You can expect a pretty authentic tone from a decent set of well-engineered speakers especially if they have been housed appropriately. Vinyl has its own very warm analog sound which many crave. Sometimes the sound can seem, messy or noisy or distorted, this is due to the nature of analog processing and retro recordings. The messier noise or low rumbling at it was is actually a part of vinyl’s appeal. Your CD player reads the disk from a distance utilizing a laser and there is zero contact between the player and disk, but the turntable is much more hands-on, so you may find you experience feedback or hums at high volumes this is actually again typical of Vinyl records, you should balance your volume at a lower decibel level. Record players measure vibrations, the grooves in the vinyl cause the stylus to move, the motion is turned into an electrical signal. This signal affects the magnetic field of the speakers and is then effectively amplified and made audible when processed by the speakers. Record players should be placed on separate surfaces to speakers because both work by interpreting changes in vibration and can, therefore, impede one-another, this is also why many travel record players with their own built-in speakers sound completely pants. So it is important to have separately dedicated speakers to amplify your vinyl. If playback is scratchy you may find your turntable is dirty or your stylus is becoming worn. There are a host of speakers out there for modern Vinyl spinning machines, and some which have better capabilities for use with retro models. 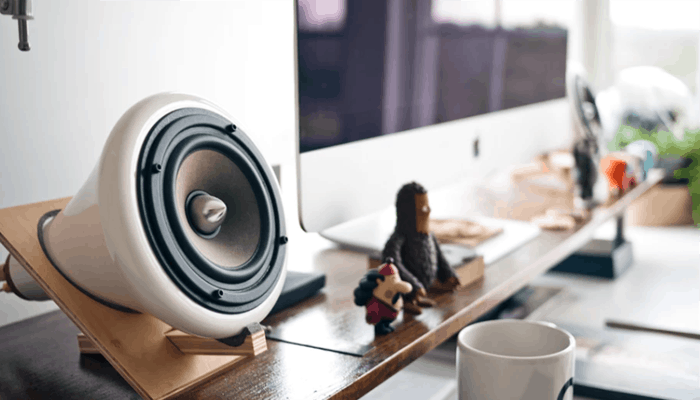 So whether you want to just reminisce and remember days gone by with the soundtrack to your younger years or fancy backing up your families’ old collection and giving it a new digital lease of life, finding an ideal set of speakers shouldn't be too taxing. 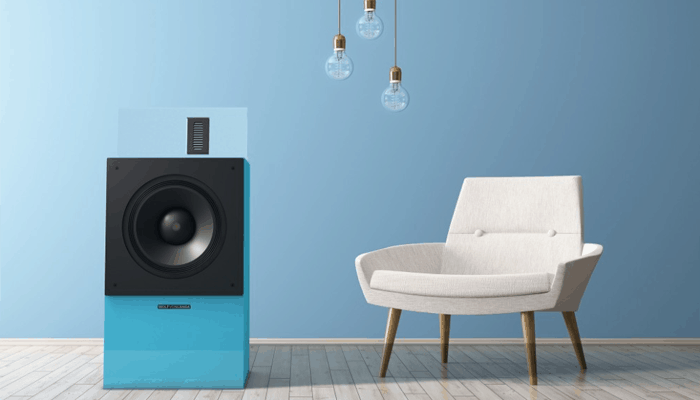 Think about whether or not you want a directly connected set of powered speakers or an amplified passive speaker system and you are literally halfway there. Power consumption is another key factor which needs to be addressed once you have this taken care of decide the classification and set-up you fancy, then your only limitation is sadly, but inevitably going to be your budget restriction. We have looked at a fair range of options in today’s article, and with some luck, our buyer's guide will have served as a useful tool to assist you in making a great decision. 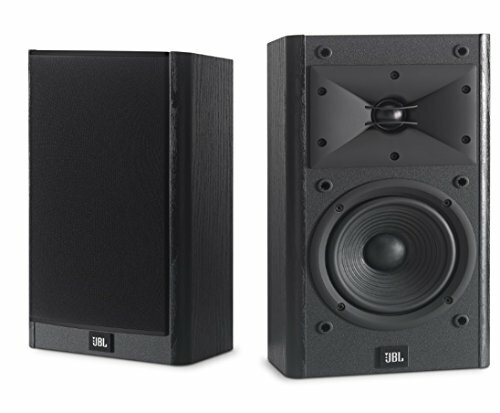 If the sound is of key importance to you, we recommend the JBL Studio 230s, they are priced on the higher side but the audio quality is something else. If money is of no real concern we suggest maybe looking at their 530's. 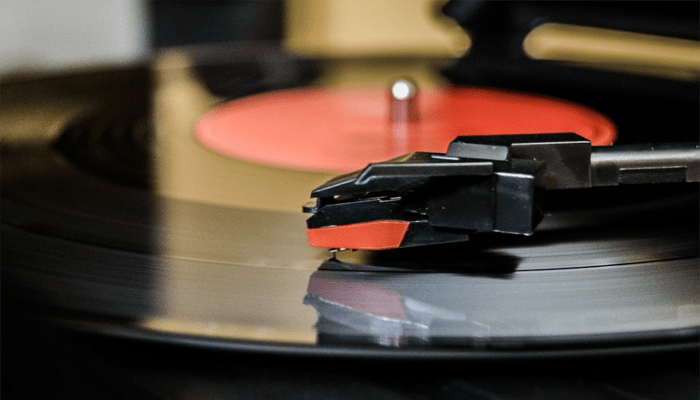 The cantilever of your record player might actually employ a genuine diamond to read the vibrations set in the grooves of your vinyl accurately, their hardened make-up means they are more sensitive to the motion but pick up less background interference.